Students in the MFA program have just installed their thesis project exhibitions in Chelsea, at 511 W. 20 St., New York City. After two years of studying in the graduate program, six students, Susan Kelly, Isabelle Podrasky, Arwa Falenbam, Samantha Hofsiss, Victoria Pendzick and Elizabeth Jordan, are showcasing their individual works in a world-renowned art district. 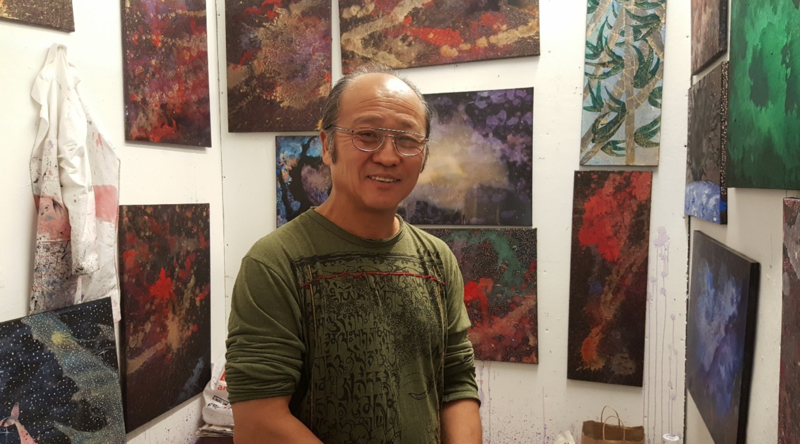 Professor Seung Lee describes this opportunity as “testing the real water.” The graduate art students will be exhibiting “shoulder-to-shoulder with famous artists.” Lee hopes the students receive attention from curators, collectors and directors at the event. The students came up with the name for the show, “Anomalous,” which Kelly describes as “deviating from the norm or being different.” This sentiment reflects the various art styles and works of everyone who is part of the show; no two pieces of art are similar. Hofsiss, “took to the dictionary to look for a term that defined our group.” All of the artists are as unique as their works. 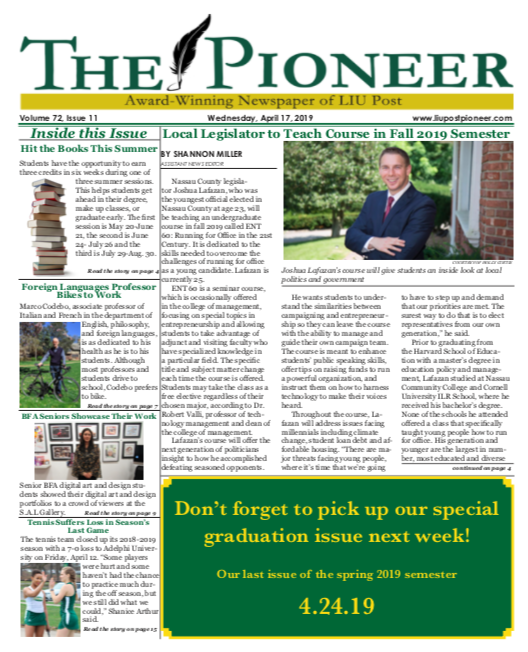 Though this project is a part of their degree program, Lee decided to add the element of real-world experience, moving the show from the Hutchins Gallery on campus to Artspace Patchogue, and finally to its current location in Chelsea. In doing this, the students get to be critical of the work they’ve done and can judge themselves against the rest of the art world. 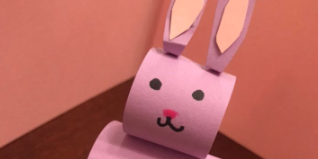 “The biggest challenge for them is how they expand their audience.” Lee places emphasis on how the art scene is globalizing, and he teaches his students how large their market is. 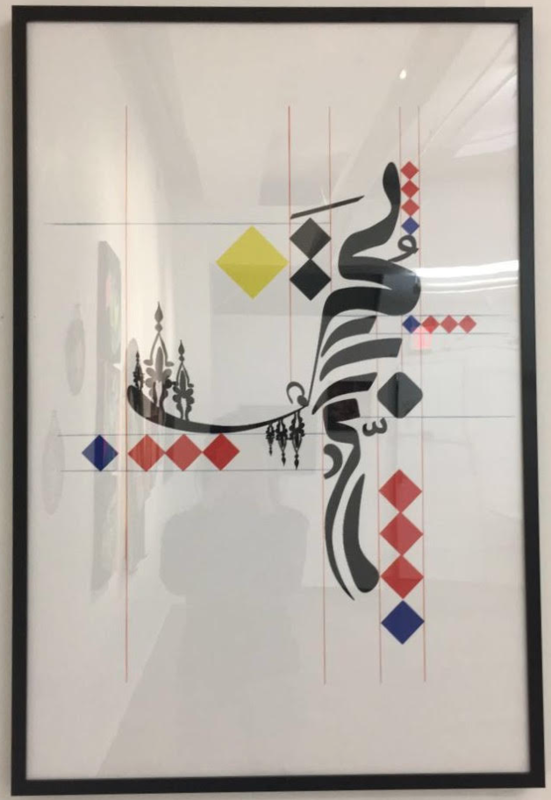 Falenbam, who is from Saudi Arabia, feels lucky to have her art on display in Chelsea because it helps her earn credit as an artist from abroad. She explained her artwork, “This art is an Arabic calligraphy that’s out of rules of Arabic writing. 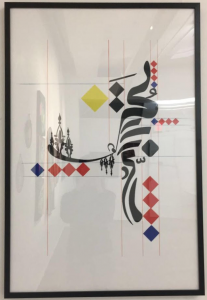 Also, I did combine my Arabic calligraphy design with Piet Mondrian as well.” Falenbam has studied in the graduate program for three years and said that the faculty has guided and pushed her to develop as an artist. “I feel proud to have my work hung up in a gallery where everybody can see it,” Podrasky said. She explained the artist’s process as, “developing a technique and finding one’s skill when it comes to creating art, and then focusing on producing art that one is good at, and not being afraid to experiment in other areas.” Podrasky believes in the importance of hands-on experimentation when it comes to creating art, and emphasizes that much is discovered through trial and error. 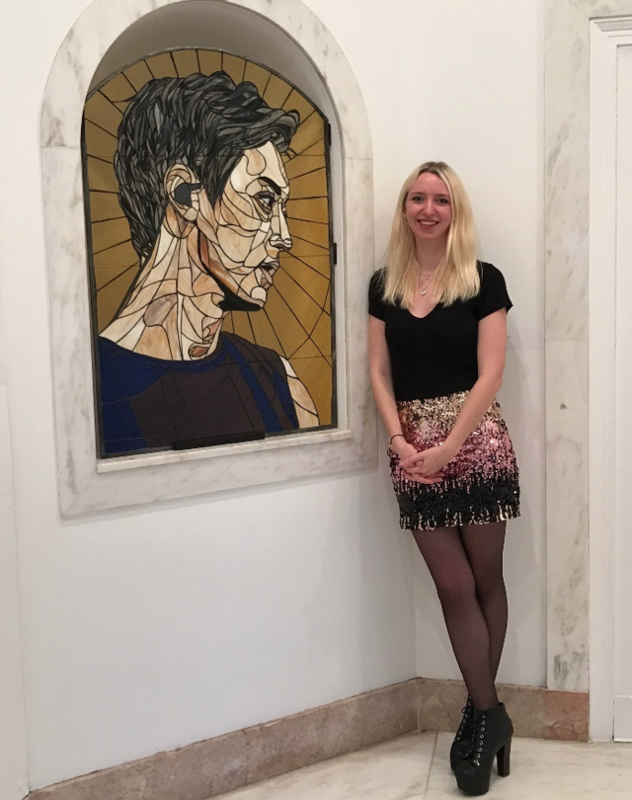 Hofsiss and the rest of the graduate students have had much experience in the graduate art program in pursuing outside exhibition opportunities. 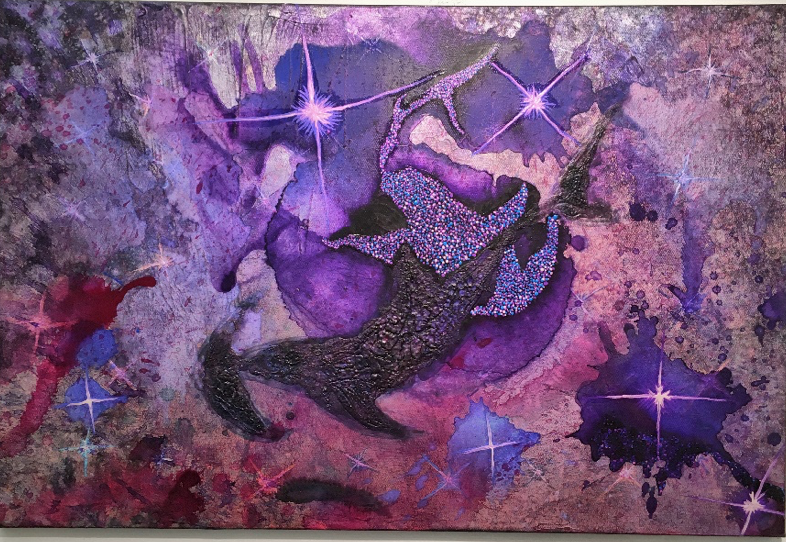 “I have actually exhibited at a couple pretty important exhibitions like the Northern California Women’s Caucus for the Arts,” Hofsiss said. The current show, “Anomalous,” is the most sentimental to Hofsiss because it is “the culmination of over two years of work.” Showcasing her work in Chelsea as part of this travelling thesis show has been very gratifying to her. The show will be up in the SIA Gallery until May 2.